6 Members of the Club earned national points including Syd Hirsch, Josephine Chang, Amber White, Henry Nadile, Nicka Lortkipanidze and Owen Prevey Sullivan. 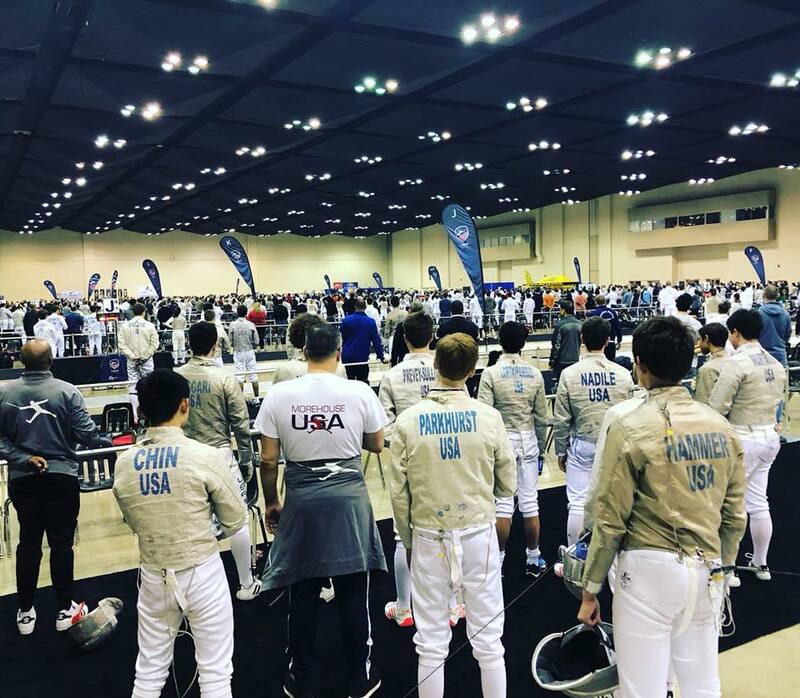 Memphis, Tennessee (February, 2018) 15 members of Tim Morehouse Fencing Club traveled to the 2018 Junior Olympics to participate in the annual championship which draws the best fencer’s in the country in the Under-17 Cadet and Under-20 Junior categories. The four-day tournament was held at the Memphis Cook Convention Center and included over 2000 athletes. Sydney Hirsch finished her Cadet career with a Silver Medal in the Under-17 category losing 14-15 for the championship in an exciting back and forth match with Avante Garde’s Ryan Jenkins. Sydney finished the season 7th in the country in the Cadet national standings. In the Junior event, Hirsch had a strong 7th place medal finish and she currently stands 23rd in the country in the Under-20 standings. In the men’s saber events, Nicka Lortkipanidze led the way with a top-16 finish in the Junior men’s saber event and a top-32 result in Cadet men’s Saber. In the Cadet standings, Nicka moved up to 3rd in the country in the “Aged Out” Cadet rankings and he is currently 46th in the country in Junior men’s saber. Owen Prevey-Sullivan finished 22nd in a strong Junior men’s saber field with 256 competitors. He is currently ranked 45th in the country in Junior men’s saber. Henry Nadile also earned national points in both Cadet and Junior categories with two top-64 finishes. Henry is currently 12th in the country in the “aged out” Cadet men’s saber rankings. 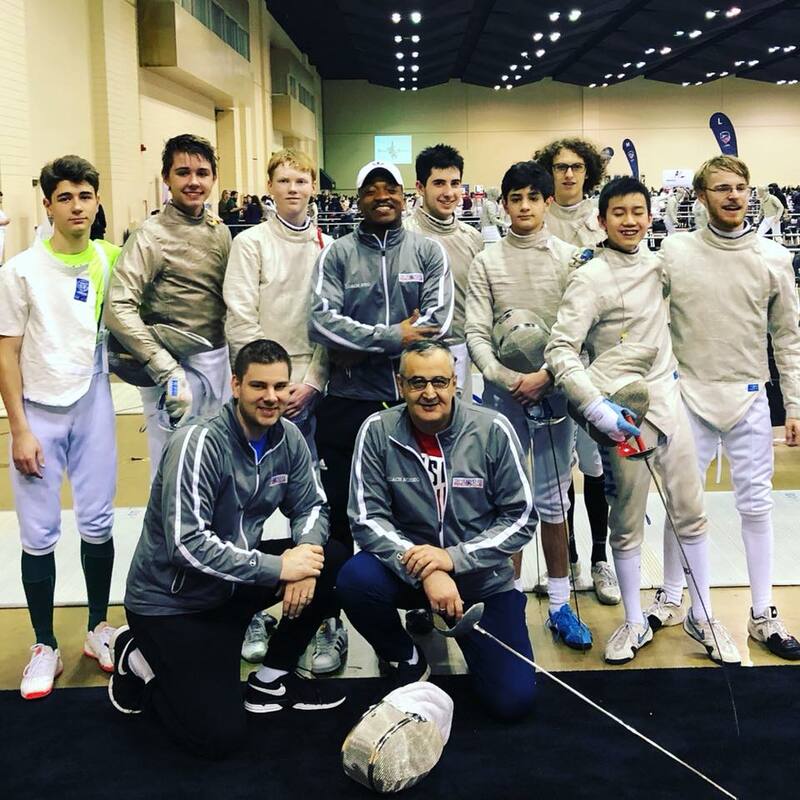 Tim Morehouse Fencing Club fielded teams in the men and women’s Junior team event who both finished in 6th place out of the twenty plus teams that competed in these categories.